One of the most essential elements of optimal oral health is a complete set of structurally intact teeth. While modern restorative dentistry can replace missing teeth with excellent aesthetic and functional results, there is no substitute for healthy natural teeth. This is why Dr. Byron W. Wall and his team place emphasis on the importance of general and preventive dental procedures that allow patients to preserve the health of their mouths and maintain the integrity of their teeth for a lifetime. Unfortunately, even those patients who take excellent care of their teeth are not immune to oral injury. If you have lost one or more of your natural teeth due to an injury to your mouth, then it is extremely important that you seek treatment immediately. Dr. Wall can discuss the issue of oral injury and tooth loss during your consultation at his Albuquerque, NM cosmetic, restorative, and general dentistry practice, evaluating your specific case and explaining your tooth replacement options to you in detail. By replacing your missing teeth as soon as possible after an oral injury, you can help to prevent more serious and difficult-to-treat problems in the future. 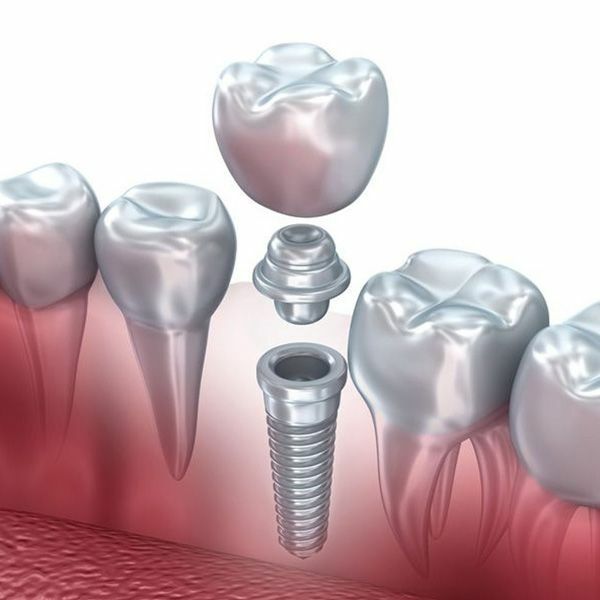 To learn more about the replacement of missing teeth after an oral injury, please schedule your initial consultation with Dr. Wall at Cosmetic Dentistry of New Mexico today. When you lose a tooth, no matter what the cause, your body interprets this loss as a signal that the gum and jawbone tissues that once provided this tooth with support no longer serve an important function within the mouth. Therefore, the body stops supplying these tissues with the nutrients, blood supply, and other resources they require for optimal health. Over time, the tissues begin to degrade, which affects the health and structural integrity of the entire mouth. People who are missing teeth will often begin to experience difficulties with speaking, chewing, and biting, along with jaw pain and symptoms of temporomandibular joint (TMJ) disorder. These issues are generally caused not only by the missing teeth themselves, but by the movement of the remaining natural teeth out of their ideal positions within the mouth toward the spaces once occupied by the missing teeth. This can lead to a faulty bite, misalignment, and an increased risk of further tooth loss. In addition, people with missing teeth are also at higher risk for oral infections and advanced gum disease, known as periodontitis. At Cosmetic Dentistry of New Mexico, Dr. Wall provides patients with custom dental bridges of the highest quality. Dental bridges comprise one to three replacement teeth held in place by dental crowns attached to the natural teeth adjacent to a gap in the smile. Dr. Wall uses only the finest materials to create dental bridges, which helps to ensure the longest-lasting, most aesthetically pleasing results possible. Patients emerge from treatment with their form, function, and health fully restored. To learn more about oral injury and tooth loss, please contact Cosmetic Dentistry of New Mexico today.